David Stebenne earned a B.A. in history from Yale and a J.D. and a Ph.D. in history from Columbia. He is a member of the Maryland Bar, and a specialist in modern American political and legal history. He has taught at Ohio State since 1993. Professor Stebenne has written two books and co-authored a third one. The first, Arthur J. Goldberg: New Deal Liberal (Oxford U. Press, 1996), explores the rise and decline of New Deal era liberalism from the 1930's through the 1960's. His second book, Modern Republican: Arthur Larson and the Eisenhower Years (Indiana U. Press, 2006), is a study of the rise and decline of moderately conservative ideas from the 1940's through the 1960's. Stebenne co-authored a history of the leading suburban new town of Columbia, Maryland with Joseph Mitchell. The book was published by the History Press in 2007 with the title New City Upon A Hill: A History of Columbia, Maryland. 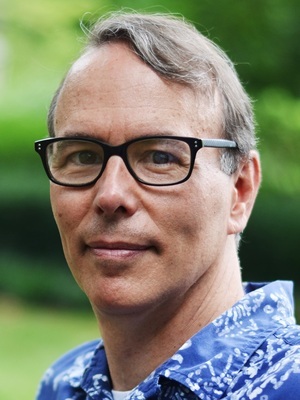 Professor Stebenne is currently working on a new book project, which is a history of the rise of the American middle class from the 1930's through the 1960's. His new article entitled "Is American Democracy Endangered?" was published in the Drake Law Review in December 2018. Professor Stebenne has published articles, essays and shorter analytical pieces in many places. In addition to writing for scholarly audiences, he contributes to such publications aimed at educated general readers as: The Conversation, the Huffington Post, the New Republic, the Observer, and Salon. Stebenne has appeared often on WOSU radio's “All Sides with Ann Fisher” show, where he comments mostly on American presidential elections. He has also appeared on National Public Radio's "All Things Considered" to discuss politics, the economy and labor issues, and on the BBC World Service to discuss constitutional history and law. Stebenne's writings deal with both modern U.S. political and legal history and contemporary American politics and law. He serves as the elections historian for the Election Law Group at OSU's Moritz College of Law, and is an active member of OSU's Institute for Democratic Engagement and Accountability (IDEA). Stebenne has presented his scholarly work at major national and international conferences. In keeping with his interdisciplinary interests, Professor Stebenne teaches courses in American political and constitutional history in the History Department, and on American legal history in the OSU law school. He has served as chair of the Littleton-Griswold Book Prize Committee of the American Historical Association (given to the best book in American legal history) and as chair of the Richard W. Leopold Prize Committee of the Organization of American Historians (for the best work of history written by someone employed in government). Stebenne has received numerous grants and fellowships, and has won awards for his research, teaching and service.